This exciting Arctic land based trip offers you the chance to spend 8 or 10 days at the unique and intriguing “Arctic Watch”, enjoying an adventured-filled itinerary right in the heart of the Arctic Wilderness. This Canadian Arctic wilderness lodge is situated 500 miles north of the Arctic Circle and is a world-class beluga whale observation site. Staying in comfortable accommodations with superb food and welcoming atmosphere you will get the chance to participate in hiking, kayaking and exploring the Arctic tundra in all-terrain vehicles, amongst many other adventure options. Book an 8 day itinerary before March 31 2017 and receive a free transfer package worth £1,145! 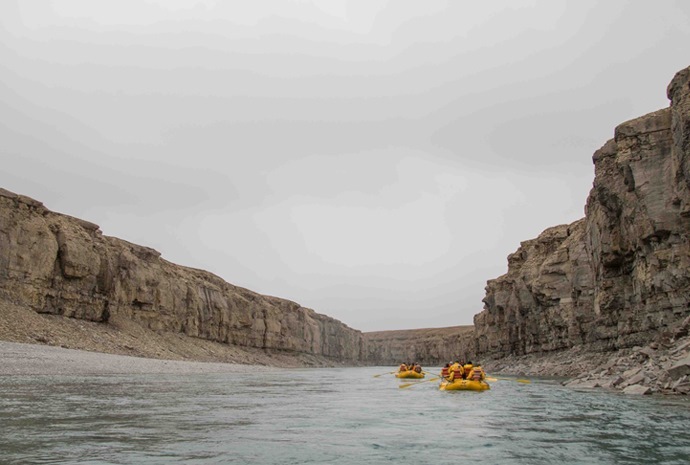 This expedition of a lifetime also offers the opportunity to observe and take photographs an abundance of intriguing and rarely-seen wildlife such as Muskox, Polar Bears and Arctic foxes in their natural habitat, whilst experiencing the true beauty and wonder of the Arctic wilderness. 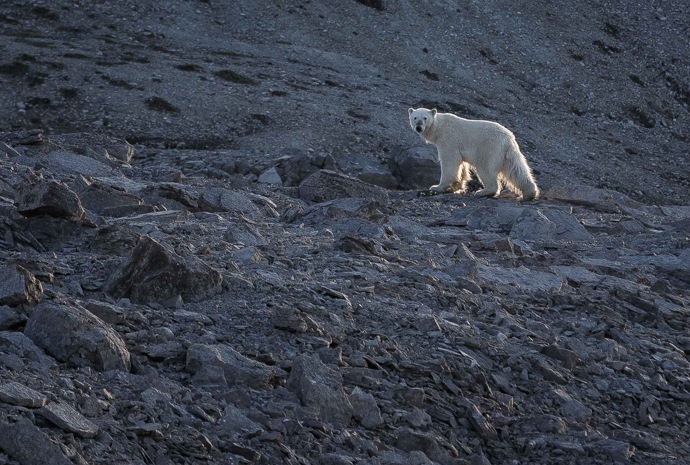 There are exciting adventure options to choose from during your stay at Arctic Watch. We try to ensure that all guests have an opportunity to take part in these activities. After the daily breakfast briefing, guests can sign up for one to three activities offered per day. Take advantage of included activities and equipment such as all-terrain vehicles (ATVs), Mercedes Unimog, kayaking and rafting. 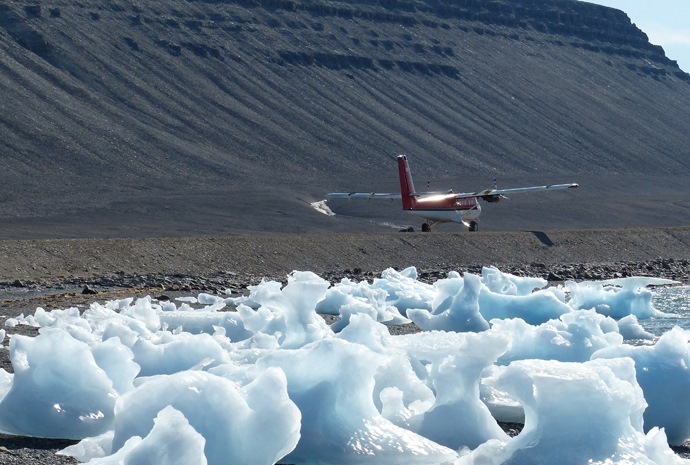 There is also optional activities such as fishing for Arctic char and the Beechey Island fly-in excursion. Enjoy an included night in Yellowknife and meet your fellow travelers. We'll meet early in the morning to board our private chartered plane to fly the 1,000 miles (1,500 km) to the Arctic Watch lodge. A typical first morning at the lodge may include receiving a hands-on introduction to driving all-terrain vehicles (ATVs), which are easy and fun to drive. Later, we may take a short hike to the Cunningham River estuary to watch beluga whales frolic in the shallow water only a few yards offshore. Today we travel by ATV, crossing the Cunningham River delta, and driving along the Muskox Ridge Trail, which provides a scenic overview of the entire area. It’s very likely that we’ll see muskox and pass by an impressive Arctic fox den where you may have the opportunity to watch fox cubs at play. Today we'll depart for a trip to Flatrock Falls, crossing the Cunningham River delta. There, you'll have the option of hiking or travelling by Mercedes Unimog a (multi-purpose four-wheel drive truck). We’ll visit the Somerset Island canyons, formed as the result of shifting fault lines. Today we'll set out on ATVs to Cape Anne where we'll visit five Thule sites all along the coast and look for polar bears. The Thule culture were bowhead whale hunters, ancestors of today's modern Inuit. The first leg of today's journey will be by Mercedes Unimog truck. We'll get to the Arctic Watch raft and kayak launch on the Cunningham River, 20 km from the lodge. Today, you'll bid a fond farewell to the lodge team and the High Arctic. You may have time to take advantage of one last activity before we depart. In the late afternoon, the plane will arrive for the return flight back to Yellowknife. We'll meet early in the morning to board our private chartered plane to fly the 1,000 miles (1,500 km) to the Arctic Watch lodge. During the four and a half hour fl ight, we'll pass over the treeline to the barrens, refueling in the community of Cambridge Bay, and landing in the afternoon on a private airstrip on Somerset Island. A typical first morning at the lodge may include receiving a hands-on introduction to driving all-terrain vehicles (ATVs), which are easy and fun to drive. Later, we may take a short hike to the Cunningham River estuary to watch beluga whales frolic in the shallow water only a few yards off shore, followed by a wonderful buffet lunch. Following breakfast, we'll depart for a trip to Flatrock Falls, crossing the Cunningham River delta. There, you’ll have the option of hiking or travelling by Mercedes Unimog a (multi-purpose four-wheel drive truck). We'll visit the Somerset Island canyons, formed as the result of shifting fault lines. Their walls, mostly vertical, vary from 200 to 1,000 feet (up to 305 meters). The first leg of today's journey will be by Mercedes Unimog truck. We'll get to the Arctic Watch raft and kayak launch on the Cunningham River, 20 km from the lodge. Typically, the final six kilometers require a hike through the Badlands, passing the skeletal remains of two bowhead whales dated from eight thousand years ago. The voyage includes encounters with muskox, snow geese, jaegers, Arctic foxes, sandpipers and rough-legged hawks. Today, you'll bid a fond farewell to the lodge team and the High Arctic. You may have time to take advantage of one last activity before we depart. In the late afternoon, the plane will arrive for the return flight back to Yellowknife. Upon arrival in Yellowknife you will be transferred to your included hotel. *Free transfer package only available on 30th June and 07th Aug departures. Limited availability. Full terms & conditions apply. 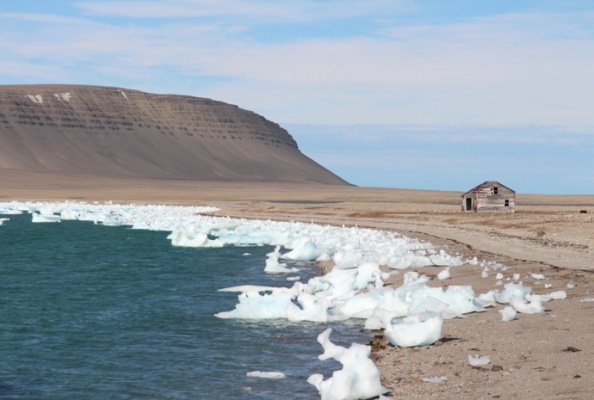 IMPORTANT: The itinerary outlined is only a sample of a typical week at Arctic Watch Lodge. Day-to-day activities may vary and are also weather dependent. 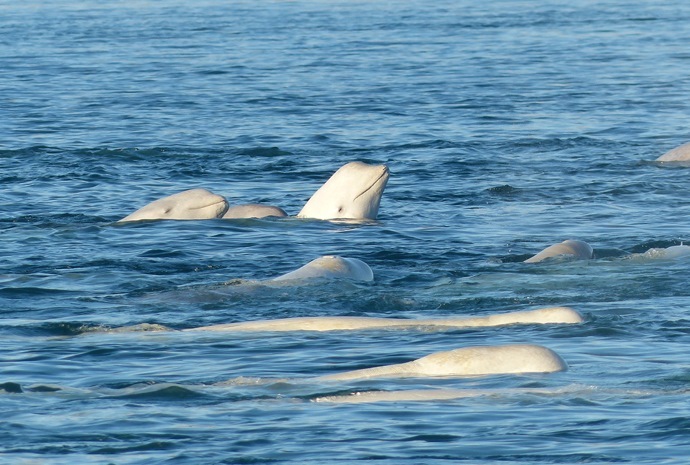 Please note that during "Adventure Week", the first week of the season, there is less likelihood of seeing belugas.